2 Bedroom Lock-Off, Rented In Any Combination, Sleeps Up To 8! Maui's Westin Ka'anapali Ocean Resort Villas is an uncommonly luxurious Hawaii vacation opportunity!!! This 5 Star multi-week owner has priority in unit selection for the week you desire. Owner also has access to Westin Villas in Kauai with flexible weeks. The two bedroom unit sleeps 8 people in Westin's Heavenly comfort. The unit has a master suite with a king bed and its own bathroom (with a 2 person whirlpool) and full kitchen and dining/living area; and a studio with a queen and full bath and mini kitchen/living/dining area. The lock-off has two pull out sofas,, 2 washer/dryers and 2 patios. The unit can be rented as a two bedroom or the master suite or studio individually. See below for more information. The Westin Ka'anapali Ocean Resort Villas is a beautiful ocean front unique residences that embrace both Westin's standard of quality and Maui's most spectacular vistas of Molokai and Lanai. The Westin Kaanapali is set along a pristine expanse of Ka'anapali's North Beach (ranked #1 on “America's Best Beaches” list for 2003). The hotel has direct beach access, as well as an intricate pool area with tropical landscaping, palm trees, and plenty of lounge chairs. Guests can take part in the fitness and spa facilities, lighted tennis courts, watersports, beauty salon, kids' pool, children's activities, two restaurants, game room, hot tub, pool bar and grill, lounge, and shuttle service within the surrounding area (limited hours). Services include concierge assistance, Internet access, housekeeping, valet laundry service, and valet parking. Kapalua championship caliber golf courses are also close to the property! 2 Bedroom Lockout Unit, can be split into 1 Bedroom and Studio sides. Both sides have a balcony, the famous heavenly beds and baths (large shower with separate whirlpool tub, and plush robes), washer/dryer, full kitchen/ette (marble counters, dishwasher and microwave) and of course all of the standards. The room rate offered for this week from Starwood/Westin for this Deluxe Island View 2 Bedroom Villa/Suite is up to $1500 PER NIGHT. YOU WILL SAVE $6,000 for the week!!! Note: Although the Resort is an OCEAN FRONT property, the rental unit is classified as an 'island view.' However, about 50% of those will have an ocean view and with this owner's Five Star Elite status, they have priority for unit location. My wife and I live in the Washington DC area, but have fallen in love with the Hawaiian Islands. We have property in Maui and Kauai and spend at least two weeks in Hawaii each year with our children. The Westin Resorts in Maui and Kauai provide everything we enjoy as a family: the beach, time out on the water, tennis, championship caliber golf courses, great restaurants and wonderful natural island experiences. We transfer our own love of the Hawaiian Islands to our guests, providing a detailed list of recommended activities and restaurants and make our best effort to secure the best unit locations within the resorts. We take care of and treat our guests as if they were our extended family! Property and location met all our expectations! The villas are in a perfect location! Property is inviting, clean, and welcoming. Owner was exceptional to work with answering all questions and offering wonderful suggestions. On site activities abound! Whale watching , snorkeling, surfing, and outstanding dining were just a few of the numerous things we enjoyed. We would highly recommend! Thank you for this wonderful review. It was a pleasure renting to you and your family - and to hear how much you enjoyed the resort and the Ka'anapali coast of Maui. Our family traveled to Maui to celebrate our 50th. It was wonderful. All the grand children regardless of age had a great time. They ranged from 14 to 5 and all found plenty to do and really enjoyed themselves. We snorkeled, went on bike rides, to the ocean center, a laui, helicopter rides submarine trips, outrigger canoes, and just lounging by the pool. Our oldest two grand children said “Grandma this was the best vacation ever”. Thank you for making this trip possible. 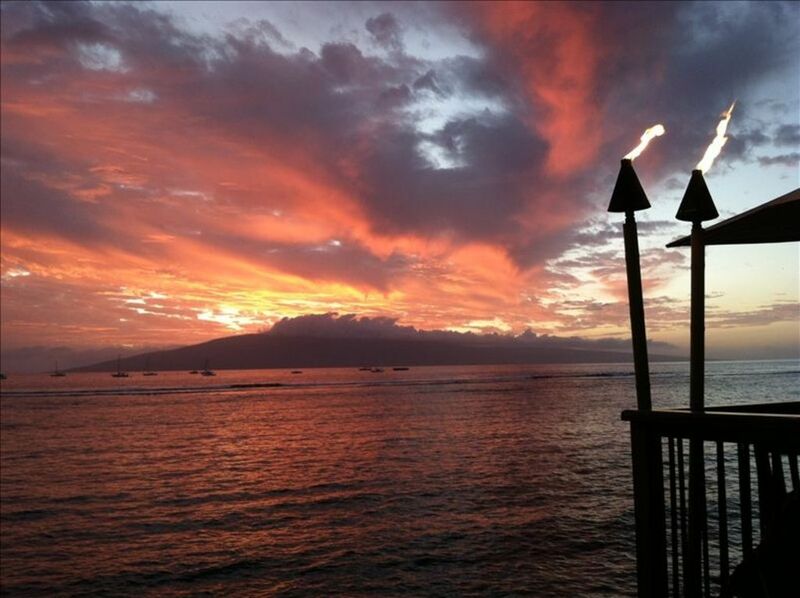 Susan and I are so pleased that your trip to Maui and stay at our property was such a great success! We love the island and resort -- and were so happy to share it with you! this was our first time at the Westin Ka'anapali Ocean Villas and it was great! The 2 bedroom setup was perfect for our family (2 adults, 2 kids, plus an infant), very comfortable with plenty of space, and the in-unit laundry made everything easy. The resort has a great variety of pools for the kids, including access (5 minute walk along the beach) to the sister property Westin Ka'anapali Nanea which has a great kids swimming area. The owner was very easy to work with and helped with all our questions. We also booked nanny/babysitter services through Happy Kids Maui, and it was great -- the perfect balance of family time and time for us to enjoy the resort without kids. It is wonderful to hear that your trip was a great success! Susan and I are delighted that you enjoyed our home away from home! Shay was great and followed up with everything to make sure the reservation was all confirmed and booked properly. We used the concierge to book all for the reservations prior to arriving. The facility was amazing and very clean. We will be coming back. Thank you so much for all of the recommendations on restaurants and activities. The trip was perfect. It was great working with you on this rental -- and Susan and I were delighted to hear that your vacation was "amazing!" We would be delighted to work with you again on a future rental - in either Hawaii or St. John! We loved the villas - clean and well maintained - very comfortable for our family - service was great - accessible to pools and ocean. Would definitely recommend the place to friends - will definitely visit again. Great vacation spot!!! Great experience from the start! Shay was quick to respond and very informative from our first contact. He answered all our questions and the paperwork was easy to understand. His wife provided a very helpful and thoughtful list of restaurants and things to do in Maui. They were great to work with! He checked in with me before and after the trip. The resort itself was perfect! Could not ask for a more central location. We loved that it is right on the beach walk and the beach itself is great. The rooms were clean and updated as was the resort itself. We didn't run into a staff member that wasn't friendly and helpful. My 10 year old twins loved the pools and really hit it off with the snuba instructor that is there most days. We also liked having the option of the bus that runs to several locations (Sheraton, Lahina). The $4200 rental fee is for a one week rental for the two bedroom unit. I will also rent the one bedroom master suite for $2500 for one week and the one bedroom studio for $2100 for one week. A 5% discount is also available for multi-week rentals.